A hardening of attitudes toward immigrants and refugees is increasingly noticeable in Europe and North America of late. Terrorist attacks in France and incidents in Germany have instilled fear of foreigners. Even countries traditionally friendly to immigrants are tightening their borders. Right-wing movements are on the rise everywhere and are calling for harsh measures. Some American politicians are demanding the building of bigger walls and mass deportations. How are we to think and respond? I am convinced from past experience that deliberately moving toward people, in search of understanding, is a critical first response. 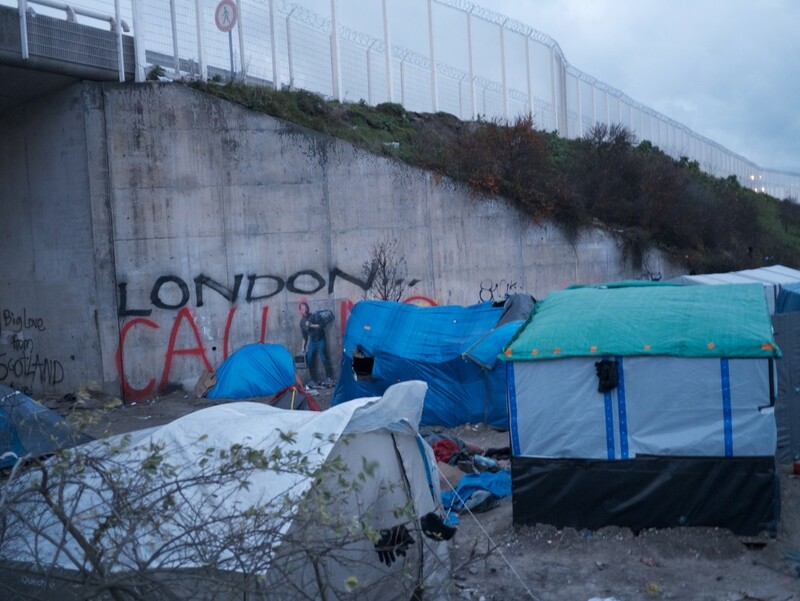 I traveled from London to Calais (France) in mid-January and witnessed the desperation of thousands of people marooned in the “Jungle” on the edge of the English Channel while seeking entry into the UK. An English friend from Christian International Peace Service, who regularly visits residents of the “Jungle,” guided me through makeshift shelters past lines of plastic latrines. We were on our way to a meeting with leaders from the Somali, Afghan, Ethiopian and other communities where problems regarding food distribution and the impending demolition by French authorities of a portion of the camp were being discussed. I was struck by the Somali and Afghan leaders’ amazing hospitality. “Have a seat, sit down right there,” they stated, pointing to rickety chairs as if they were thrones. “Would you like some tea or some coffee?” they insisted. What grace, what dignity! Would that we would express such hospitality! These were not victims needing pity but people taking responsibility for their communities and families—after having braved great perils to make their way through war zones, refugee camps, and across seas as scouts to find a place of security for their families. I was stunned by how well the different national groups had apparently organized themselves in this squatter village of some 3,500. There were sections of the camp housing Syrians, Iraqis, Iranians, Kurds, Somalis, Ethiopians, Eritreans, Sudanese and others—with stores, a barbershop and cafés. We drank sweet black tea in a makeshift café full of Iranian men, followed by another meeting over tea with Ethiopians followed by tea and baklava in a rustic Afghan tent restaurant. Yet despair and agitation were also palpable. I met a man from Eritrea outside the door of the makeshift library, “Jungle Books,” which held dictionaries and novels in the languages of the camp’s primary residents. I asked him how he was, and his honest response still haunts me. He told me how he’d left a desperate situation in his homeland with hopes of a new life, which was so obviously blocked before him by UK government immigration policies. I asked him if I could pray for him, and he declined, stating that he was Orthodox. I told him I had great respect for Orthodox Christians, and this moved him enough that he accepted my prayers. 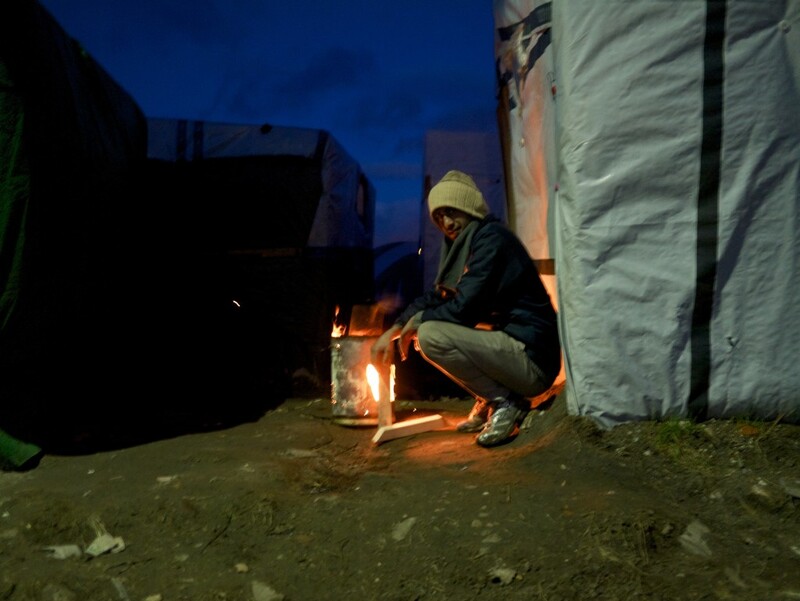 Most of the camp residents resist any contact with French authorities, not wanting to be processed outside of the UK, their final destination. 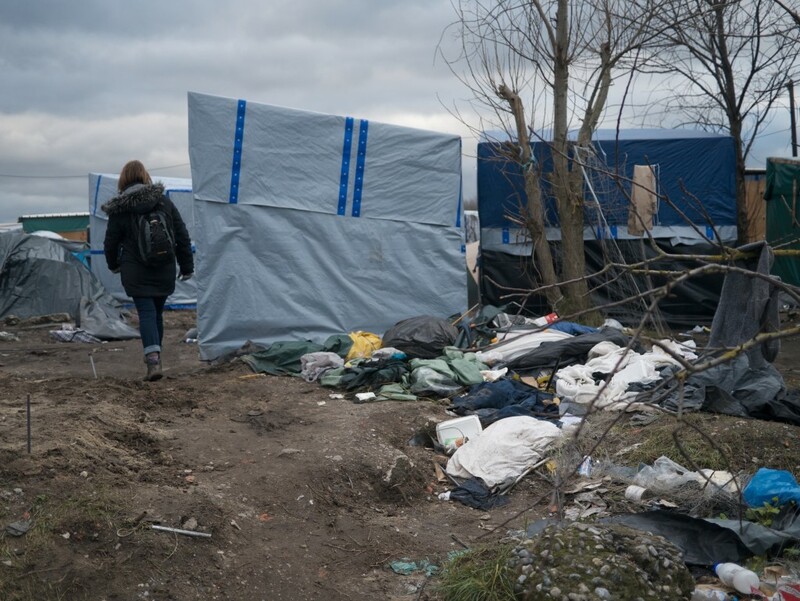 Yet now France is warning that the camp will soon be demolished and people will have to leave. But where will they go? France claims they will deport many to their countries of origin. Yet there are many unaccompanied children present in the camp and others who most certainly would be in grave danger if returned home. What is Jesus calling his followers to endure? I wonder. It seems Jesus is calling those who follow him to endure the lawlessness without letting their love grow cold. It is the one who endures without their heart growing cold who will be saved. So how do we endure in these perilous times? I have been inspired in my readings of the Gospels to see people and problems the way Jesus sees them—with a heart of limitless and practical compassion for the masses. “Seeing the people, he felt compassion for them, because they were distressed and dispirited like sheep without a shepherd” (Matthew 9:36). Jesus modeled and invited a Kingdom-of-God governmental strategy, mobilizing his followers into direct action. “Then He said to His disciples, ‘The harvest is plentiful, but the workers are few. Therefore, beg the Lord of the harvest to send out workers into His harvest’” (Matthew 9:37-38). There is certainly an unprecedented opportunity to directly show Christ’s love to vulnerable people from many unreached nations who are right now on our very doorsteps. When 5,000 were hungry after listening to Jesus’ teaching in a remote place, he told his disciples: “You give them something to eat.” Jesus himself multiplied their limited loaves and fish, distributing provision through his disciple colleagues, expanding their and our imaginations regarding how we are to think and act toward people in need. The source of Jesus’ compassion is his and our Father’s tender love and compassion, poured out by the Holy Spirit as a free gift to those who ask. As we receive for ourselves the Father’s free gift of grace and boundless affection, we will be enabled to live in the security of our heavenly status as God’s daughters and sons. It is from this place of security that we must respond to those whom God puts before us or calls us toward. Our heavenly immigration status makes us “strangers and aliens” here on earth, and this identity must trump our earthly identities. Being committed to “on earth as it is in heaven” will put as at odds with the realism of this world—and yet the higher realism of Jesus’ Kingdom must be our standard. Dear friend, let’s step further and deeper into a renewed prophetic imagination for these times, guided by Scripture and God’s abiding Spirit.